In 2018, Central Co-op was honored with a proclamation from the Seattle City Council declaring October 16 to be Central Co-op Day in honor of our 40th Anniversary and all the positive impacts that our shopper and worker-owned business brings to the community! Big thanks to Councilmember Lisa Herbold for initiating this proclamation! 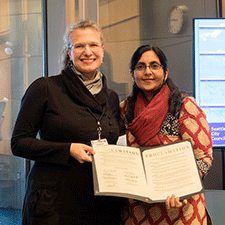 Photo: City Councimember Kshama Sawant presenting the proclamation to Marketing Director Susanna Schultz. 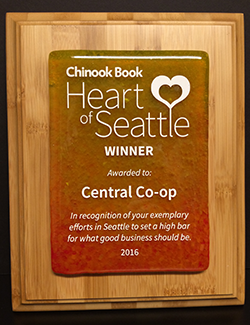 In 2016 Central Co-op was one of four businesses assessed by stringent sustainability criteria and a public vote to be honored with a Heart of Seattle Award. 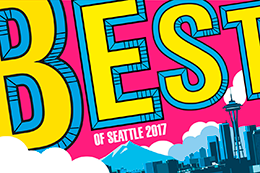 The winners were announced at the Heart of Seattle Awards Party presented by the Seattle Good Business Network in partnership with Chinook Book at the Fremont Foundry on January 12th, 2017. Each finalist chosen based on high scores from the comprehensive B Corp Quick Assessment Criteria which awards points based on strong social and environmental priorities, ethical business practices, happy employees and enthusiastic customers. The winners were decided by public vote. 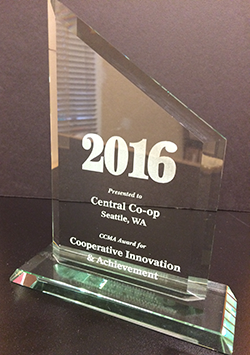 On June 11, 2016, the Cooperative Development Foundation awarded Central Co-op the Cooperative Innovation and Achievement Award at 2016’s Consumer Cooperative Management Association (CCMA) Conference. The award is given to cooperative innovators who have changed the way that cooperatives approach problems with measurable improvements or achievements that resonate with the cooperative principles and the cooperative’s mission. Central Co-op is the first to receive this award since 2009. In 2012, we were awarded Best Grocery in Seattle Weekly's Best Of Seattle issue. They wrote: " Sourcing seasonal produce from organic growers; meat, dairy and seafood from small, regional businesses, and processed goods from value-centered companies, [Central Co-op] makes it easy to keep your liefstyle in line with your ethics." In 2017 the Co-op was honored again by being named runner-up Best Grocery! 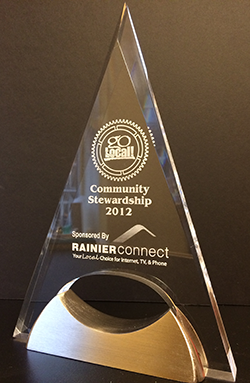 In 2012 Central Co-op was awarded the Community Stewardship Award by Go Local! 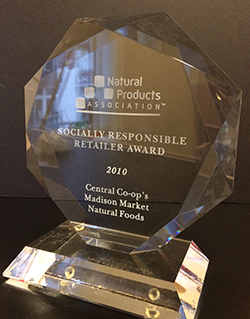 In 2010 the Co-op was awarded a Socially Responsible Retailer Award by the Natural Products Association. This award recognizes NPA member companies that excel in integrating social responsibility in multiple aspects of their business including volunteerism, education, employee empowerment, environment and health.